Presented by Nashville Elvis Festival & Music City Festivals, LLC. 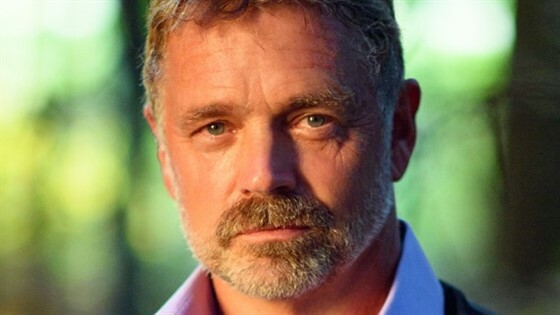 John Schneider is a modern American storyteller whose career as an actor, singer, songwriter, producer, director and screenwriter spans over four decades. Best known for playing the role of “Bo Duke” in the hit CBS show The Dukes of Hazzard, he has enjoyed a long, successful career in the film industry, appearing in popular shows like Desperate Housewives, The Secret Life of the American Teenager, Nip/Tuck, Touched by an Angel, Smallville and more! Schneider currently stars as "Judge Cryer" on Tyler Perry’s The Haves and The Have Nots - a runaway hit series on OWN (Oprah Winfrey Network). In addition to his extensive acting career, John is a celebrated country music artist with 4 #1 singles and 10 albums to his credits. His very first hit was 1981’s cover of Elvis Presley’s “It’s Now Or Never,” which reached #4 on the Billboard Country chart. It remains the top charting Elvis cover of all time in any genre to date. For over three decades, Gary Chapman has racked up an impressive list of Dove Awards, GRAMMY nominations and writing credits for legendary artists such as Kenny Rogers, Alabama, Wynonna, Amy Grant and more. A popular TV/Radio personality, Gary is also widely known for hosting TNN’s popular Prime Time Country, the original Sam’s Place concert series and radio program from the Ryman Auditorium and much more. Gary's latest album, The Truth, features 16 new songs with special appearances by Alison Krauss, John Rich, Tanya Tucker, Rebecca Lynn Howard and more. Fans from all over the world are currently finding comfort and encouragement in his latest project, AHymnAWeek.com. Please note: This event is not an official part of the Nashville Elvis Festival. This event is separately ticketed and is NOT included in VIP packages.